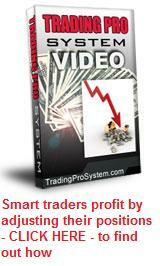 Option Swing Trading focusses on using one of the oldest and most popular trading methods for trading the markets. It was popularized by the legendary W.D. Gann in the early 20th century, who made millions on the stock market after defining his own unique set of rules and applying them to futures. Many books have since been written about this technique, each containing variations of the one overriding theme - identify a trend, wait for the pullback and hop on for the ride when it resumes. To do this, you need to understand price charts and technical analysis. Option Swing Trading takes advantage of short term moves in share prices and uses the leverage available in options to create an income stream with much less capital than would be needed if you were trading the shares themselves. Options also give you the ability to make money whether the move is upwards or downwards. You simply use call options for an upward swing and put options for a downward swing. If you were trading stocks you would have to short sell the stock for a down swing and take on margin risk. The first way is identify chart patterns and wait for a price move in either direction, compare it to the size of recent historical moves and anticipate a short term retracement. The stock does not need to be trending up or down for this strategy - it might be in a sideways channel or a broadening top or bottom. You enter the trade at what you believe to be the extremity of the move, preferably after price action has been consolidating over at least 3 days and gives a reversal signal. Once you enter the trade, the next challenge is to exit before the reversal blows itself out. You can often clean up with a tidy profit of greater than 50 percent on your risked capital. If you understand the advantages that can be obtained from using Vertical Debit Spreads in combination with this method, you can make excellent consistent profits with minimal risk. The second way is to wait for a pullback on a trending stock. Using charting software, you draw trendlines under the "lows" if the stock is rising, or over the "highs" if the trend is downward. Some prefer the zig-zag lines drawn through closing prices instead. Trendlines help you decide whether the trend is weakening or not. If the trend is upward and you have drawn your lines under the troughs, you should also take note of the peaks. If the angle of the peaks is converging toward the angle of the troughs, the trend may be weakening so you need to be more careful. Same goes for a downward trend, only in reverse. In short, you need to have some knowledge of stock chart patterns and technical analysis so that you can recognize opportunities and time your entry. Good trading psychology and self discipline are also essential. It is far better to patiently wait for just the right entry signal, rather than jumping in because you feel you have to be doing something. Same goes for your exit - accept a target profit and don't be greedy. Greedy pigs end up in the bacon factory. Broadly speaking, you need a signal that indicates whether the stock is in an uptrend or downtrend. For this, a favourite tool is moving averages - typically, the 10 day, 20 day and 50 day simple moving average (SMA). One of the best trend identifying services I have ever seen is the "Trade Triangle" and market scanning service provided by Market Club. They offer a full one month test drive for only $8.95 and with the wealth of services they provide I can't see how you can go wrong. Trading opportunities are usually identified after the market closes, so that you are prepared for entry within the first half hour of trading after the market opens the next morning. When looking for a reversal signal from a pullback, candlestick charting patterns often provide good signals. Another classic signal is called "Price Volume Divergence" - the price is still moving in one direction while the volume is drying up at the same time. This is a classic indication that price action is about to continue with the trend. Two important aspects of option swing trading are setting profit targets and preserving your capital by using stop losses. You can also use trailing stops for profitable trades. Once your profit target is reached, you sell half your options, leaving the remaining half with a higher stop loss.